I’m heading to Las Vegas in a few hours for a photo convention. Still gotta finish up packing….eeek! I’ll be out of the office for the whole week and I don’t know if I’ll have any internet access or not, so just a warning that if you email me, you might not hear back from me right away. But I promise to get back to you a.s.a.p. when I get back! 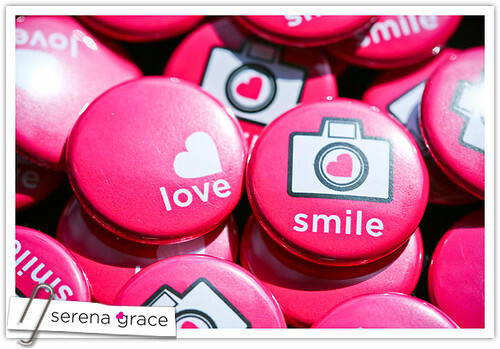 For those of you who are going to WPPI, remember to stop and say “hi” if you see me around….and I’ll give you one of my new buttons! Heh heh...remember me?! I'm going to be helping out at Jeff and Cathy's wedding...and I think you're going to be there. 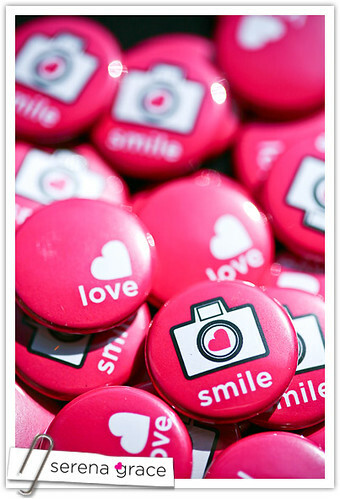 So if you could, you know, save one of the "smile" pins for me, that would totally ROCK. :D They're so cute! Hope you have a great time at WPPI! THESE ARE SO AWESOME!!! AHH! how cute!! have a good time in vegas! those are absolutely adorable! have fun at wppi - i vow to make it out there next year! 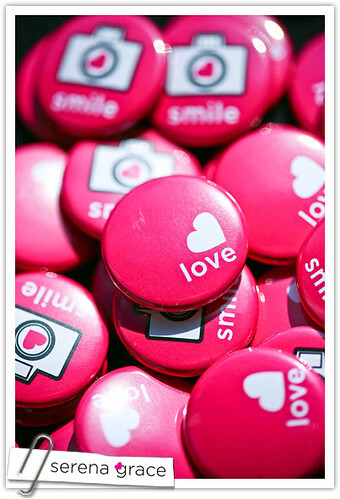 adorable pins!!! i love the camera one!!! How did I miss you at WPPI?? Oh man, those buttons are cool! Glad to see you made it out to Vegas.